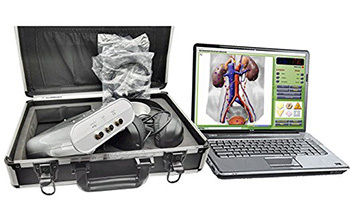 The Relaxation Computer System, a collection of medical-hoax technology that comes with its own laptop, includes pre-installed software to make suggestions on pseudo-scientific treatments to perform on yourself. A quick flip through the manufacturer’s photo gallery shows that one of the suggested treatments is to eat mayonnaise. It costs about what you’d expect.